A very special piece for a very special couple. 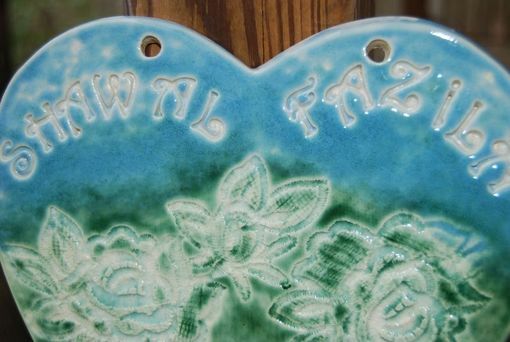 This is a unique, one of a kind handmade wall hanging that can be customized to fit just about any special occasion. 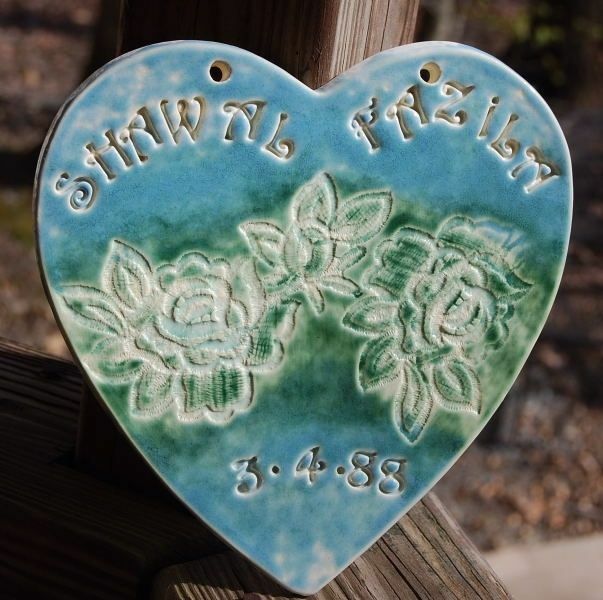 This piece would make a fabulous gift for the parents of the wedding couple, a lovely anniversary gift, or a special gift to a special friend. A wonderful piece, not to be found anywhere else! This piece can be customized in three different ways to make it fit wonderfully into your unique presentation. First your choice of text can be entered; second we can work together on your central focal point that compliments your theme (Celtic love knots, hearts, dragonfly, butterfly, horse head, nautical themes, or just some very interesting natural or found textural elements, etc...). Finally, we can work on a color pallet that could match a bride to be, a new home or office, or just a very special addition to your everyday life. 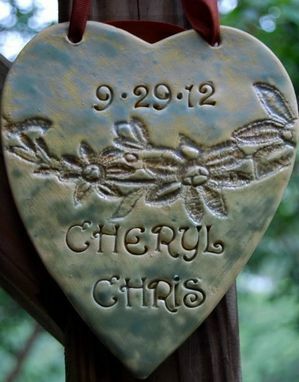 The piece pictured above, I made for a family member who recently married. The colors were chosen to highlight the fall season. The piece measures 7.5 inches in length and approximately 6 inches at the widest part of the heart. Grosgrain ribbon is used as a hanging material in a lush shade of deep tan. The band of rich texture was achieved by using handmade Italian wedding lace and embedding it into the wet clay to achieve this stunning result. In order to accommodate a special order, please allow 2-3 weeks for completion. 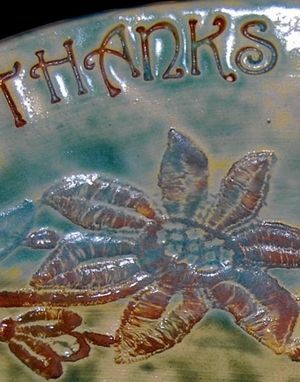 Some pieces may be completed sooner depending on weather conditions (my kiln cannot run in high heat or threat of thunder storm), and time availability. Contact me to discuss your special piece.